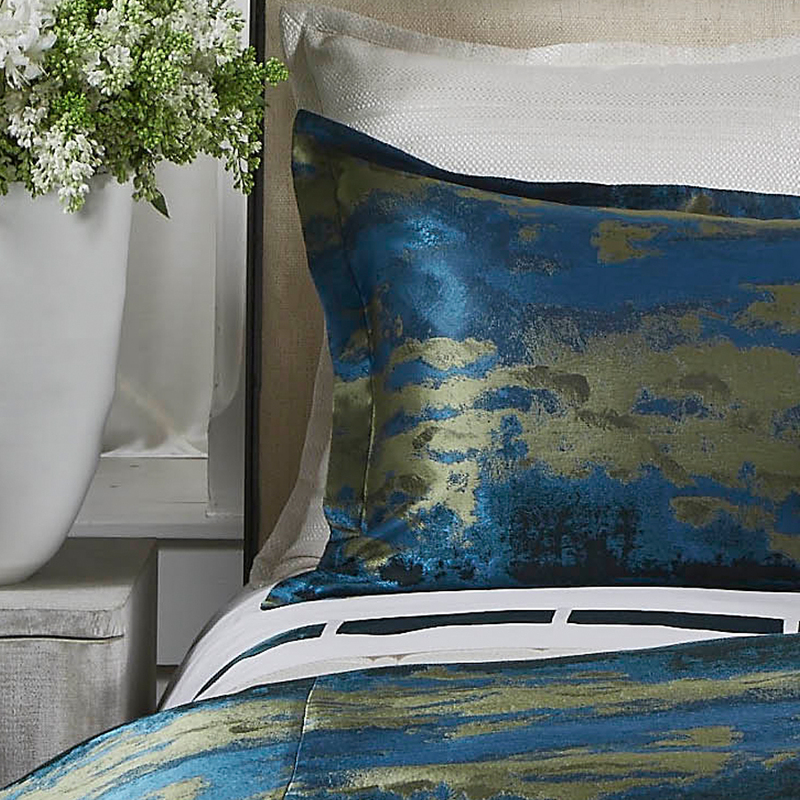 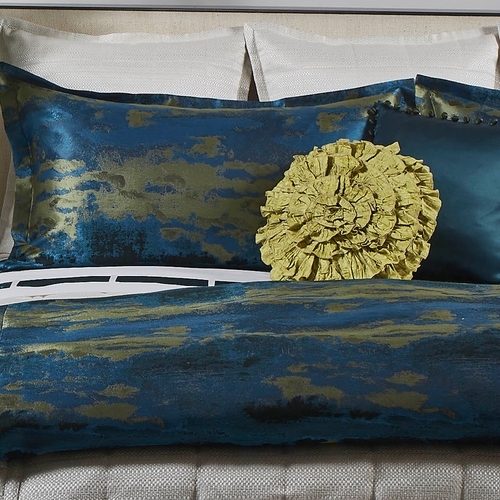 The rich color palette of the Lagoon Duvet set adds depth and elegance to your bedroom decor. 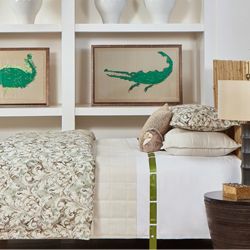 Stylish enough to use alone or for adding a bold, yet elegant touch to coordinating bedding accents. 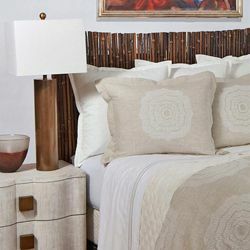 The photo above shows the Lagoon Duvet Set paired with the Texture White Coverlet Set. 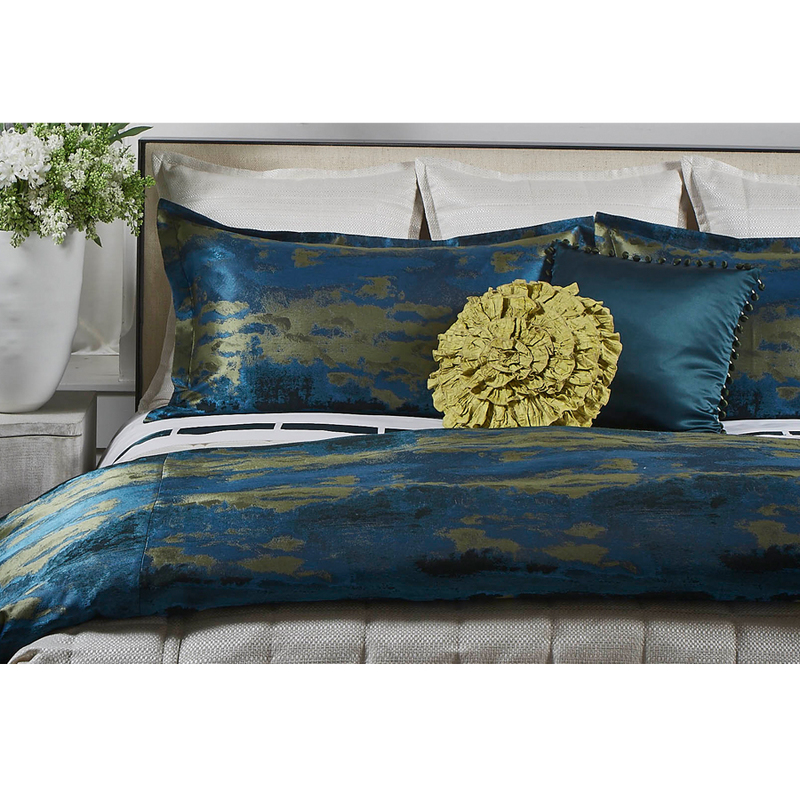 The Lagoon Duvet Set is available as a 3 piece King or Queen size set.